Today is the 2nd day of my vacation, at least that's what it's called, you know? Those days off when you get paid from the hours you've earned the previous year. I'm not planning on doing too many vactiony things. Yesterday I went to see my Mom, primed and began painting some interior kitchen shutters, had a couple glasses of wine and watched "Rear Window" on my big TV. The weather is supposed to be nicer today, warmer with more sunshine. I'm planning on taking the dogs to the park (they love the park) and then working outside, wacking weeds and cutting up branches. And tomorrow I'm getting my car inspected first thing in the morning! Yippie Skippy! And then it's on to more yard work. This morning I realized I should have taken more days off. Ah well, it's too late now. Just in case nobody mentioned it, Bill O'Reilly got fired. That's right, after years and years of harassing women he became more expensive then his ratings were worth. I almost started laughing hysterically, you know? Of course he'll make out like a bandit financially. We can only hope that this is just the beginning of his bad karma. And down in Georgia, Jon Ossoff missed avoiding a run-off by 2% which is actually quite good. The GOP jumped up and down, clapping themselves on their crooked, little backs with glee. They are such dunderheads. This does not bode well for them in the June election because people hate their interloper president. And so, so much can go wrong, and most likely will go wrong for them until then. Everything the Idiot in the White House does to try and improve his ratings fails: 59 Tomahawks in Syria and then nothing, the Mother of All Bombs only takes out 94 in Afghanistan, he brags about sending an "armada" to the North Korean peninsula which actually sales south away from where he said it was going... oh, and he blamed the US Navy for that one. 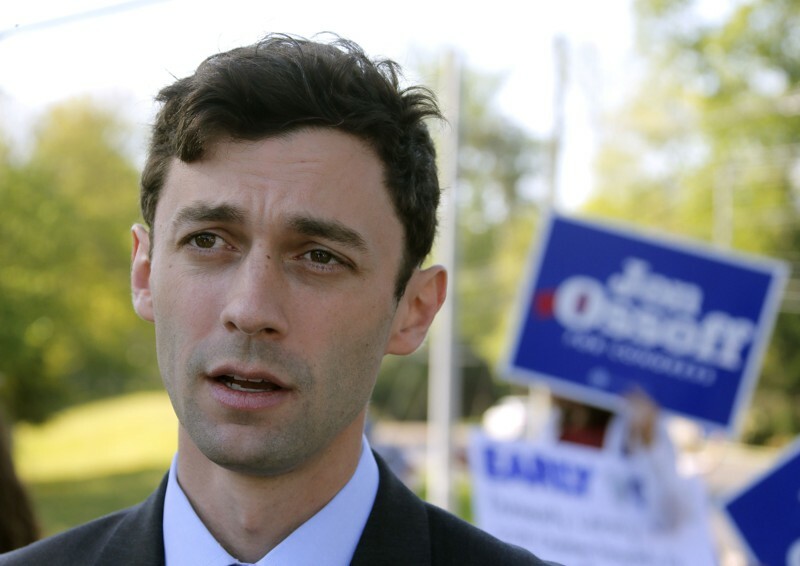 And one last chortley tidbit: evidently some reporter asked Jon Ossoff when he was gong to marry his girlfriend because he's 30, and there is that small minded group of people out there who believe that if you're not married there's something wrong with you, oh, and it has to be a heterosexual marriage, other wise there's something wrong with you, and.... you know? that ossoff is a cutie! 1 male chauvinist pig down, millions more to go. Yes to Ossoff, so much better than those Vacu-form men the GOP parades around. Sounds like a good holiday so far. Chill. Have some more wine and watch another Hitchcock? Going down to York today to eat Chinese Buffet and go to the movies!